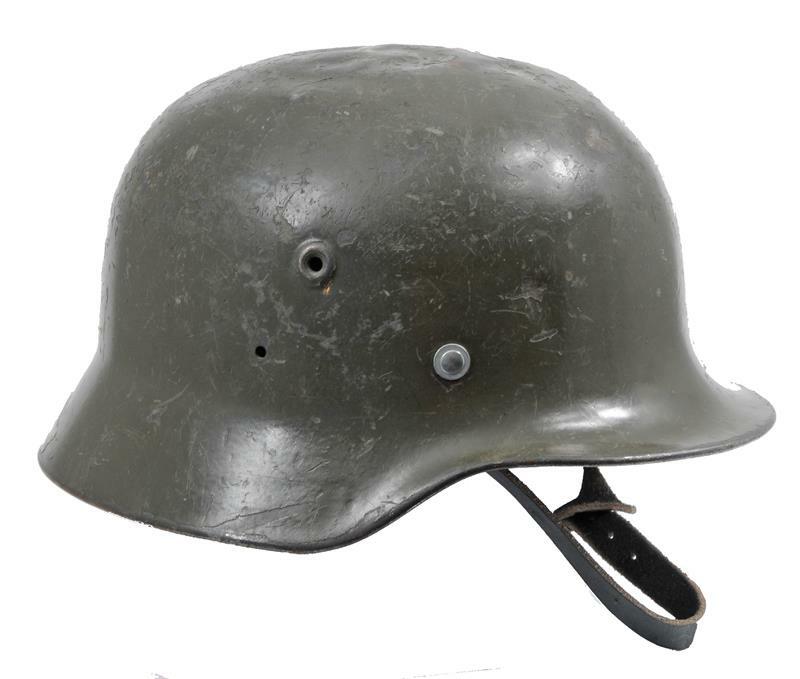 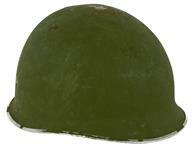 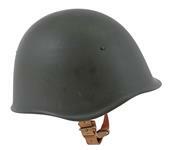 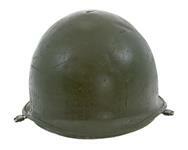 Original steel helmet with rolled edges. 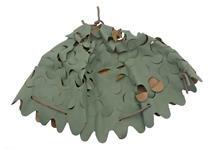 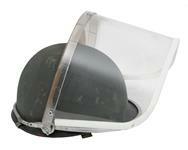 The original liner assembly has been replaced with a re-riveted, Finnish-made liner stamped size 56 or 58. 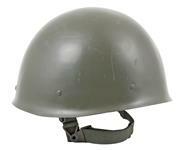 Helmet is used, fair condition with extensive outside finish wear and dents. 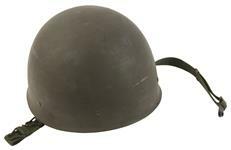 Note: Liners and straps may vary in color. 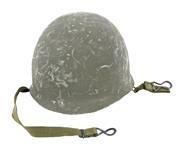 Some of the helmet shells are not stamped with a size inside.